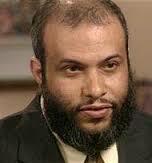 ** CASE CLOSED by Lew Weinstein « CASE CLOSED … what really happened in the 2001 anthrax attacks? Well worth reading and thinking about. 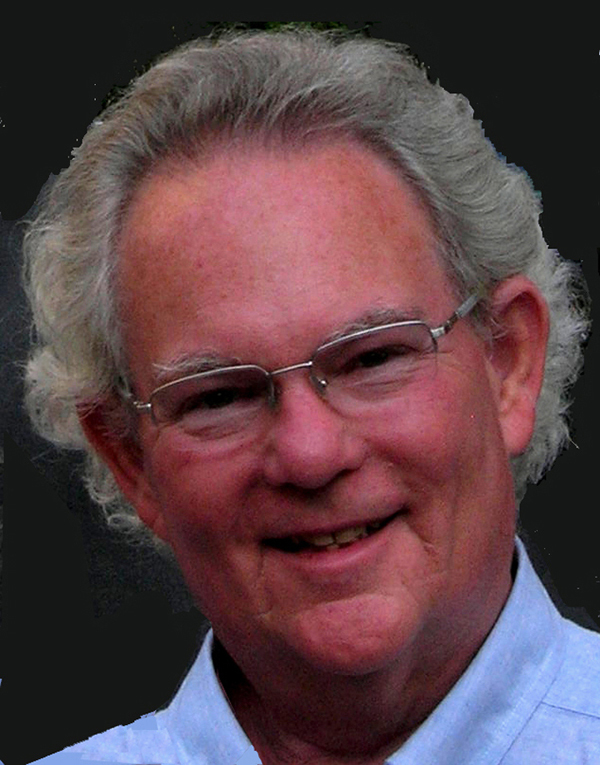 Conspiracy novels usually have suspense, plausibility and complexity. Initial unsuspected contacts are gradually revealed to be causes, and the truth is revealed. Case Closed has two of the three, plausibility and complexity, but not much suspense. 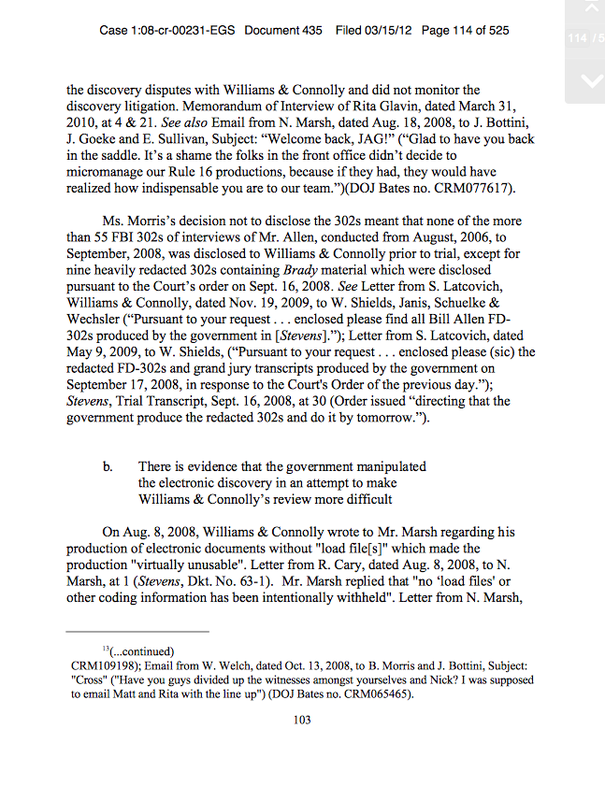 However, this is intentional, since it is not really a conspiracy novel, but rather part of the indictment genre. Indictment novels often begin with a hypothesis and develop it by logic and reason. These tools are used remarkably effectively by Mr. Weinstein to lay out the case that high placed government officials used the events of September 11, 2001 [and after that] for their own personal purposes and sacrificed the innocents to to cover up crimes that floated close to their homes. The author jettisons suspense in the forward where the conclusion is largely revealed, and then employs plausibility and complexity to paint a fictional but credible account that is chilling. 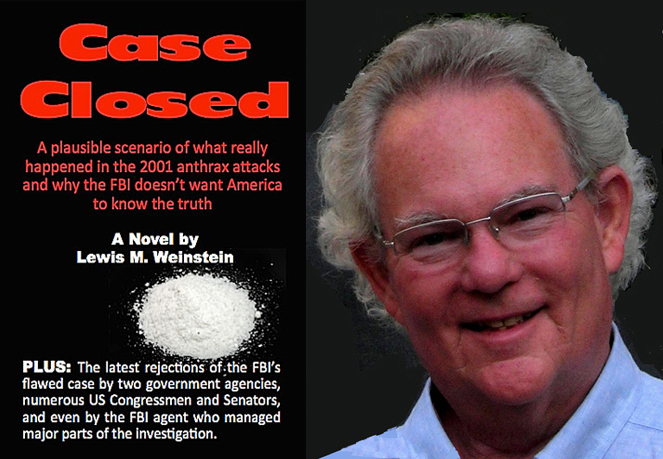 * CASE CLOSED, the novel by Lew Weinstein … more plausible than the story told by the FBI? 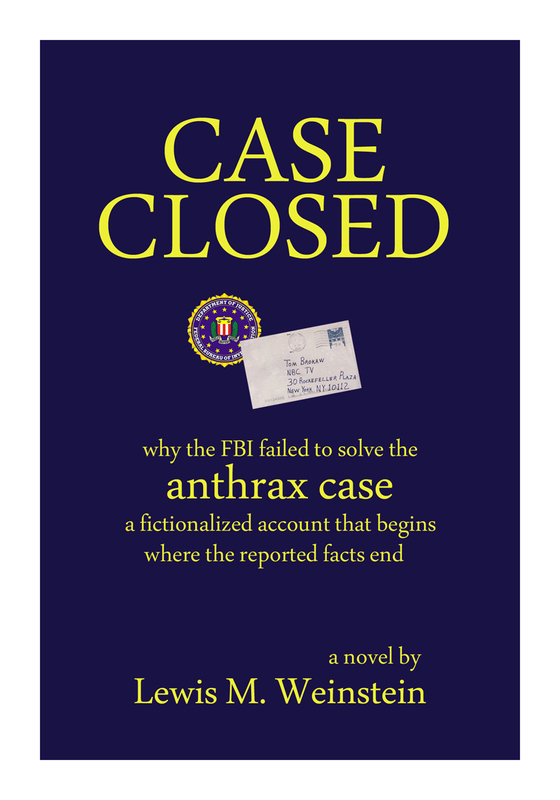 THE REAL CASE … The FBI has never told the true story of the anthrax attacks or its own investigation. 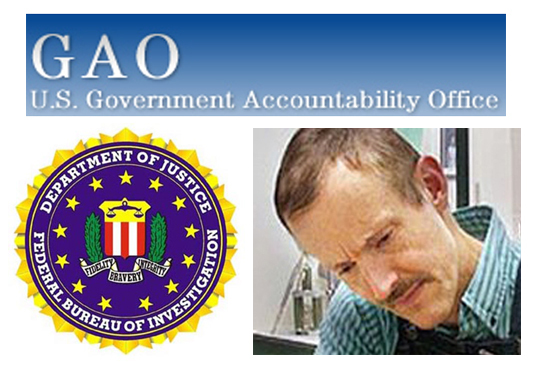 The FBI assertion that Dr. Bruce Ivins was the sole perpetrator does not stand up. 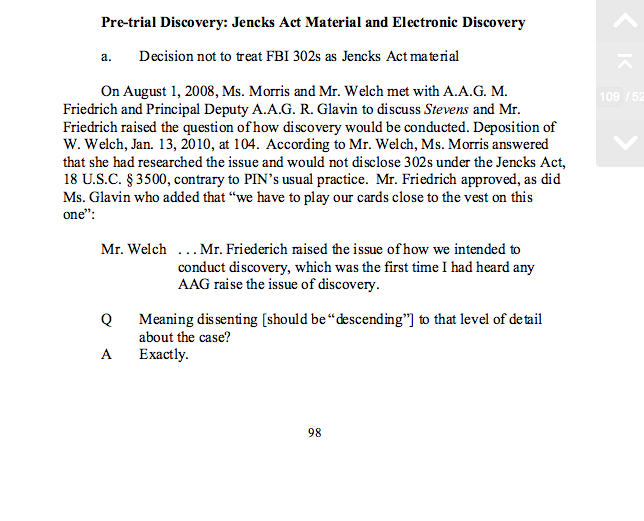 Every element of the FBI case has been thoroughly demolished on this blog. The real perpetrators are still out there. 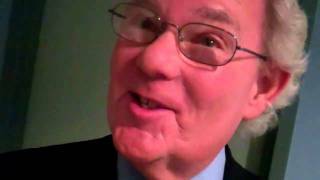 Here is a YouTube interview I did several years ago regarding the FBI’s failed case against Bruce Ivins and the need for the American people to know the truth. Case Closed is a fast-paced thriller. The writing is sparse, driven by a plausible plot that allows the reader to think through the crime/mystery along with the protagonist. a thoroughly enjoyable and illuminating read. CASE CLOSED is excellent, a great page-turner. I was impressed with how deftly Weinstein moved between fact and fiction. I think (fear?) that this novel tells the real story of the 2001 anthrax attacks. This book serves as an example of one of the great uses of fiction: using the power of imagination to make a point, build a case through the power of story, when the writer can’t access the facts (here the facts are hidden in the back rooms of power). CASE CLOSED opened my mind. Case Closed leaves you with the thought that perhaps someone else could really have been accountable for this horrendous crime. My biggest problem with CASE CLOSED is it is too believable. 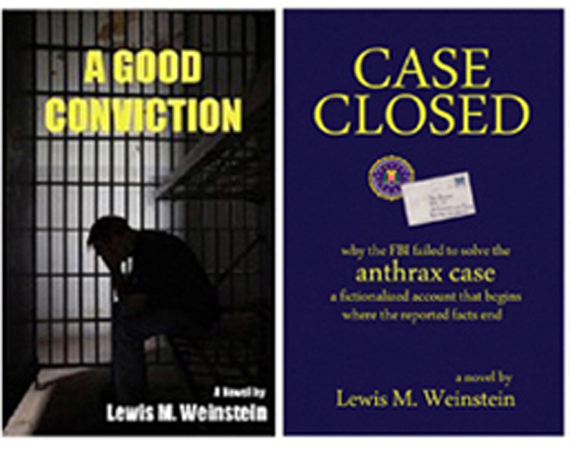 I would not be at all surprised if Lewis Weinstein’s fictionalized novel about the FBI’s anthrax investigation turned out to be more truth than fiction. the CASE is far from CLOSED. This is not just a good book, but an important one. Weinstein knew there were demons embedded in the FBI’s story, and they haunted him. For weeks he could not rest until he’d put pen to paper. This novel is the result. Case Closed provides a solid background of the 2001 anthrax case which could not have been attained through the news media. It was concise and informative and offered credibility to the events which in my opinion could have very likely occurred. Fiction?? Maybe?? But I don’t think so!! More likely an excellent interpretation of what may have really happened. The FBI’s mishandling of the anthrax attacks investigation is just another example of the way the past administration “managed” events to fit their agenda. Lew is a great investigative writer. The book is compelling, once you start you cannot put it down … and the end is … Well you will have to read it to find out. 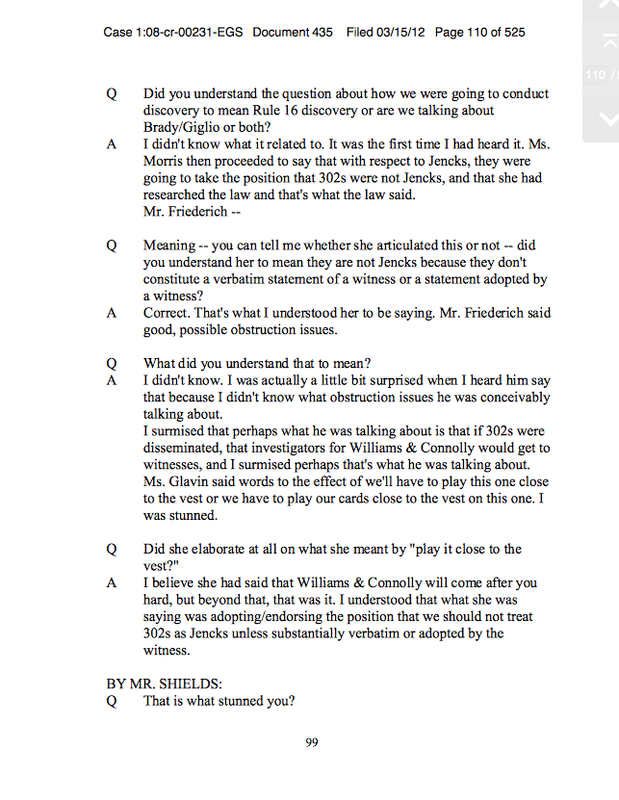 Case Closed reads fast and well. It could have happened just the way the author said. Full of intrigue mixed in with almost current events. The real people are just behind the fictional ones. The author states loud and clear that this book is fiction … but the investigation of the Anthrax attacks makes one stop and really think about it. Weinstein raises some very interesting and disturbing theories. If it was not meant to make one think about the real situation, the book would still be a great read. It is suspenseful and a real page turner. Please tell me it’s not true! and the need for the American people to know the truth. to move closer to the truth than the FBI’s unprovable assertions. There’s a story about Amerithrax in today’s Frederick News-Post with mention that GAO may issue its report sometime next year. Why does the FBI continue to stick with its discredited assertions? I wrote a novel about this matter titled “CASE CLOSED.” Many, including one highly placed in the U.S. Intelligence Community, say my fictional scenario is more plausible than the FBI’s story. 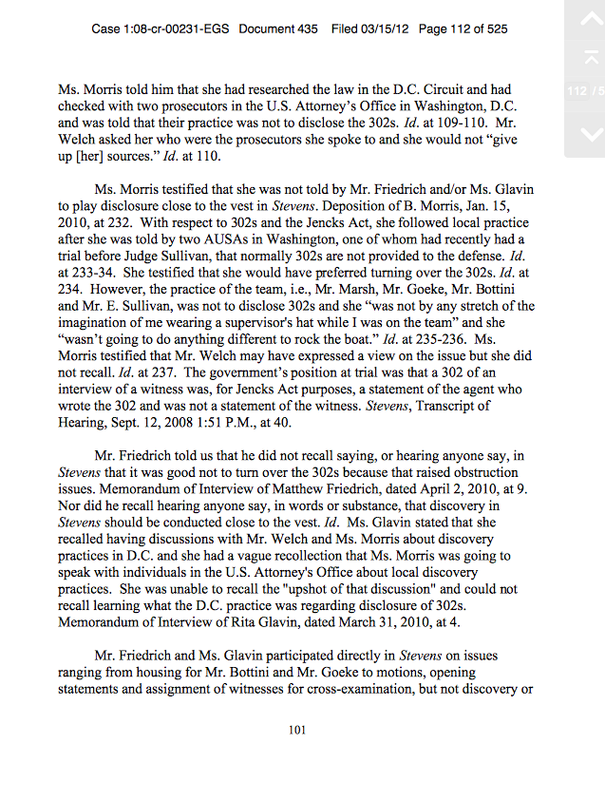 * GAO: The Special Prosecutor In The Stevens Case Recently Found That Two Unidentified AUSAs From The DC US Attorneys Office Advised That It Was The Practice Of That Office Not To Produce FBI 302s As Jencks Material. The withholding of evidence by prosecutors and police in criminal matters happens far more often than we would like to believe. It is a cancer on our American justice system. The prosecutors who cheat to get a conviction are almost never held accountable for ruining the lives of those they have unjustly convicted. 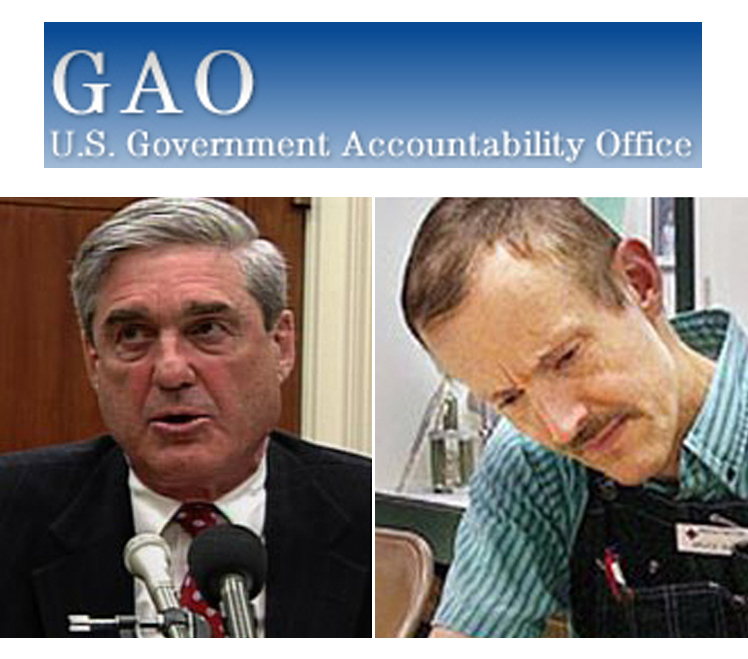 Many of us believe the FBI and DOJ have done exactly this in the case of Dr. Bruce Ivins. 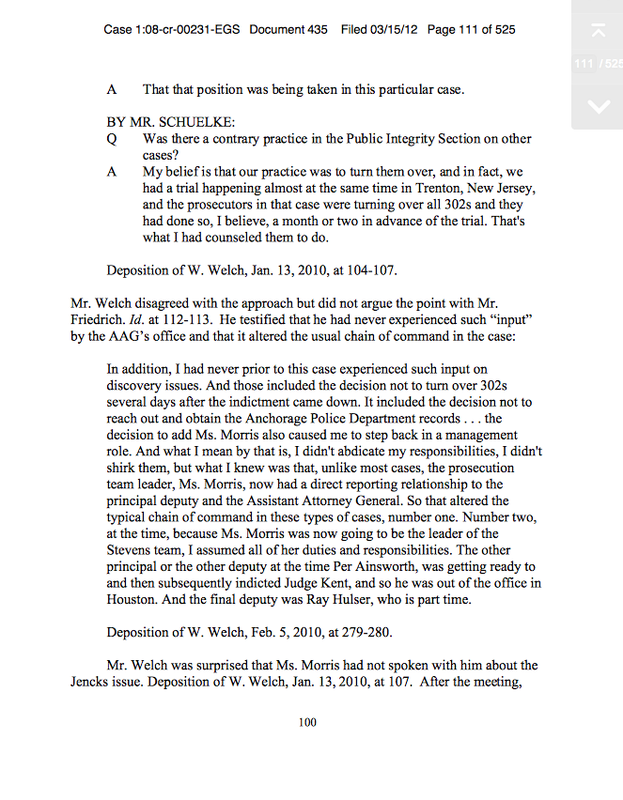 Only full disclosure of all of the relevant documents will prove whether the FBI ever had a case against Dr. Ivins, or if they just took a convenient way out of telling an inconvenient truth, or if they have never actually solved the anthrax case at all. Two of my novels deal with these issues. Both are available at amazon.com in paper and kindle editions.